Add your Hire a Hero UK stampette to your Facebook and Twitter profile image. We aim to provide high quality help for ex forces personnel who have served our country. 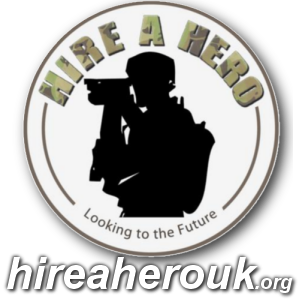 Hire a Hero is a military charity formed to ease the transition to civilian life by offering assistance with employment, training, housing and specialist support for the injured.